About Us | FuelFox | FuelFox.net - Your Fuel. Delivered. FuelFox is an app-based onsite fuel-delivery service providing a safer, cleaner and more efficient way to fill up personal vehicles and commercial fleets. Gas stations are a problem in this country that has not been addressed since the first gas station opened in 1913. They waste time, are inconvenient, unsafe, unclean, and unhealthy. FuelFox is the solution. 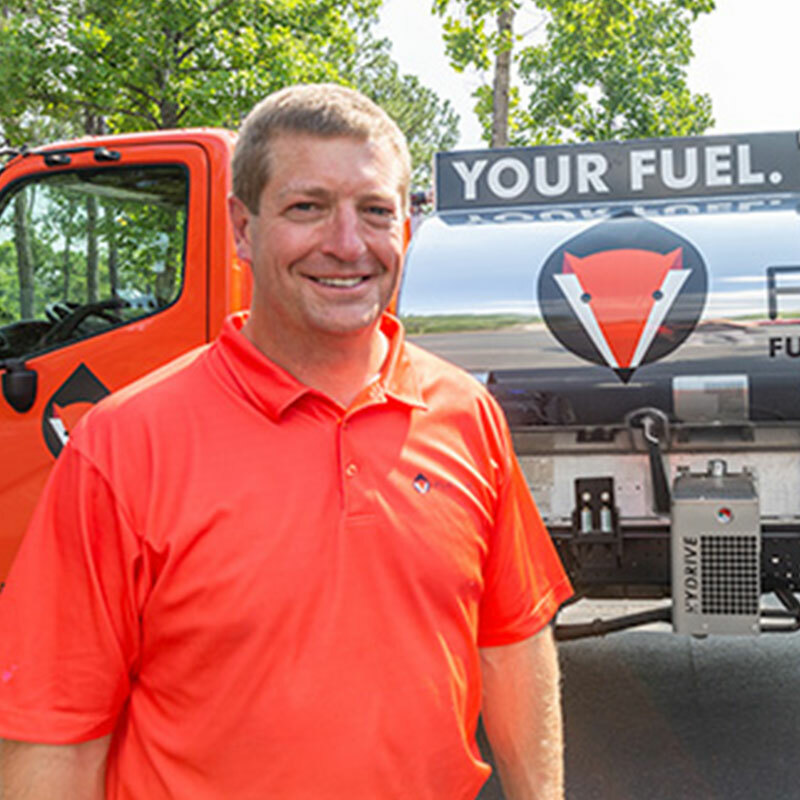 FuelFox was founded in the summer of 2018 by Alabama native Ben Morris who believes that there is a better way of filling-up. FuelFox gives its members the one thing that we all need more of, and that is time. Time is truly the only scarce commodity, so we should use our time wisely. Through the FuelFox app, users can quickly become registered members of FuelFox. Once registered, members easily schedule future gas tank fill-ups with FuelFox. In addition to filling-up the vehicle, FuelFox drivers (better known as “Ambassadors”) also clean front windshields, gauge tire pressure, check tire treads, and notify the member of any potential issues with their vehicle. FuelFox offers the amenities of a full-service gas station at self-service pricing. FuelFox also offers fuel delivery to commercial fleets during the day, evening, or weekend hours to reduce expenses and increase productivity. Benefits of the service include: recouping a significant number of labor hours each month, eliminating fleet downtime, minimizing vehicle wear, reducing risk of theft or improper fueling, and providing detailed tracking of fuel consumption and expense. Safety is of the highest importance within the FuelFox culture. FuelFox Ambassadors are firefighters who have extensive training in hazardous materials. FuelFox is an adequately insured, safe, and licensed fuel retailer meeting all EPA, DOT, fire and air quality requirements. So FuelFox wants to know: How much is your time worth? Subscribe to the FuelFox membership service today at FuelFox.net and see how much time you can save! Ben Morris is the founder and CEO of FuelFox, an app-based on-site fuel delivery service that allows consumers to avoid gas stations. Ben recognized that we have a problem in this country that has not been addressed since the first gas station opened in 1913. Gas stations are a very unpleasant experience—they waste time, are inconvenient, unsafe, unclean, and unhealthy. With a wife, three children and a busy lifestyle, Ben created FuelFox to solve the problems associated with gas stations. Prior to FuelFox, Ben was a partner with Starnes Davis Florie LLP for fifteen years specializing in complex civil litigation with significant experience in healthcare litigation, long-term care and nursing home litigation, professional liability, environmental litigation, product liability, pharmaceutical liability, business litigation, and other complex litigations for various national companies. With Ben’s diverse background in various career fields such as litigation and logistics along with his passion for entrepreneurship, Ben was able to eliminate the gas station problems. The company’s roots are grounded in safety, efficiency, excellent customer service and friendliness as Ben is a man who has always enjoyed helping people. Formerly serving on community placements such as Mountain Brook Municipal Court Supernumerary Judge, Children’s Hospital’s Committee for the Future, Birmingham Athletic Partnership, Monday Morning Quarterback Club, The Exceptional Foundation and Community Adviser for the Junior League of Birmingham, Ben is continuously involved, connected and eager to serve. Ben launched FuelFox in Birmingham, Alabama in the summer of 2018. The mission is simple: solve the gas station problems by bringing fuel directly to the consumers so they avoid the gas station. Now with only a few clicks on the FuelFox app, customers no longer have that unpleasant experience!